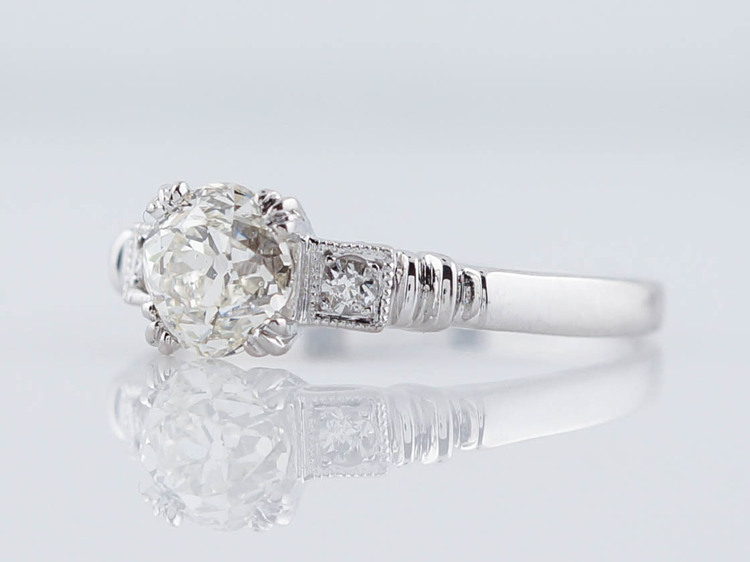 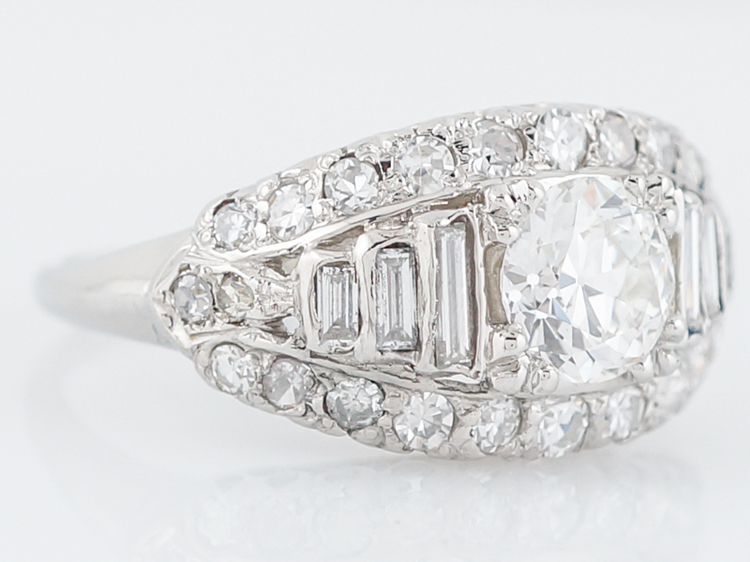 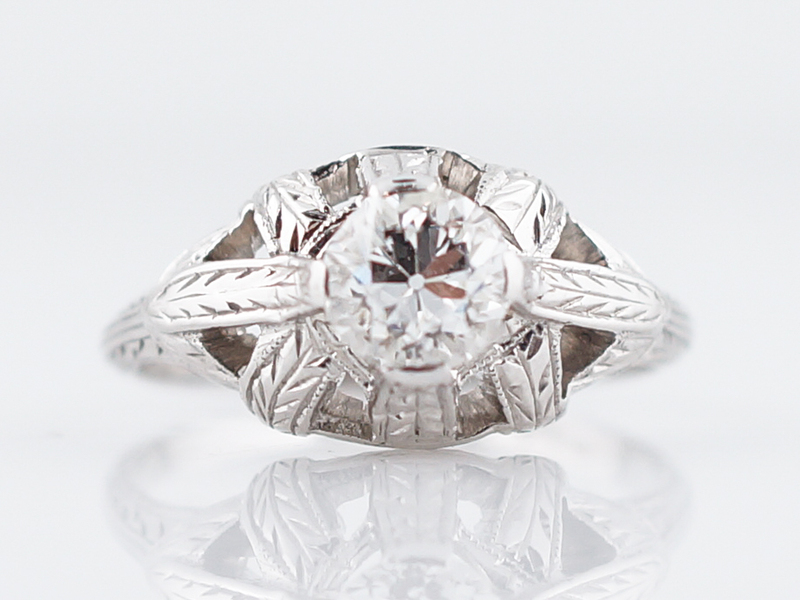 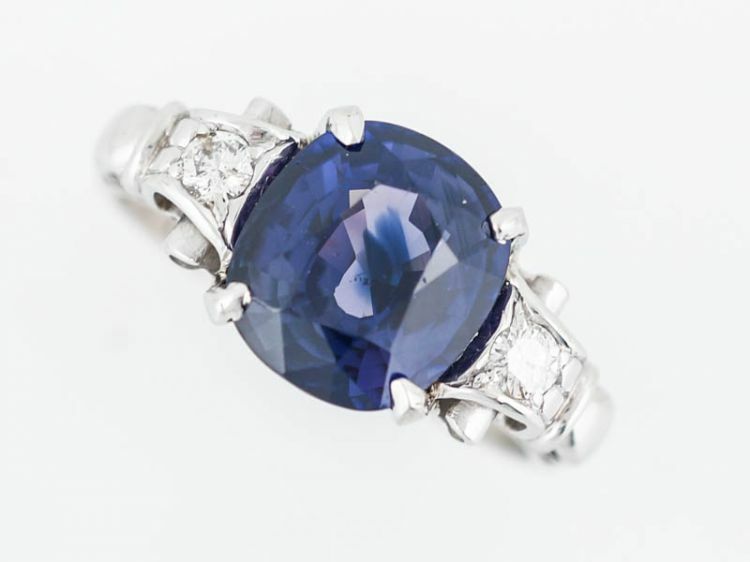 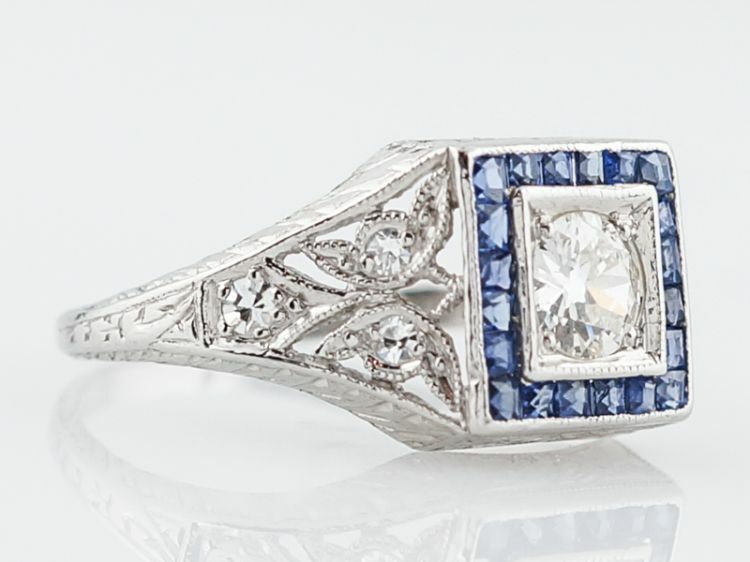 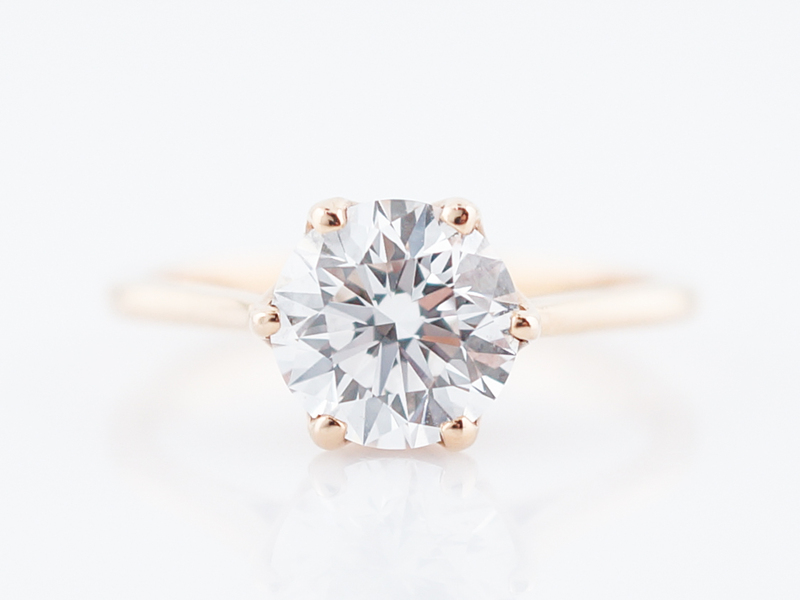 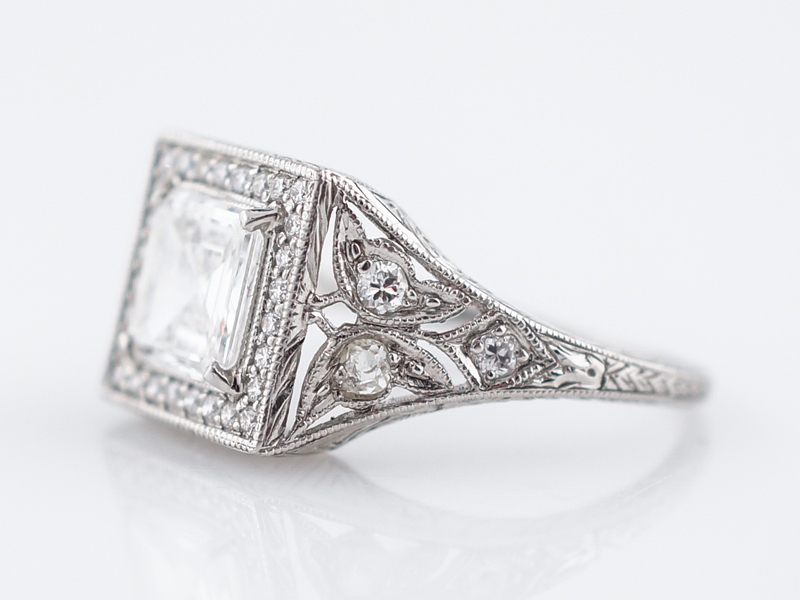 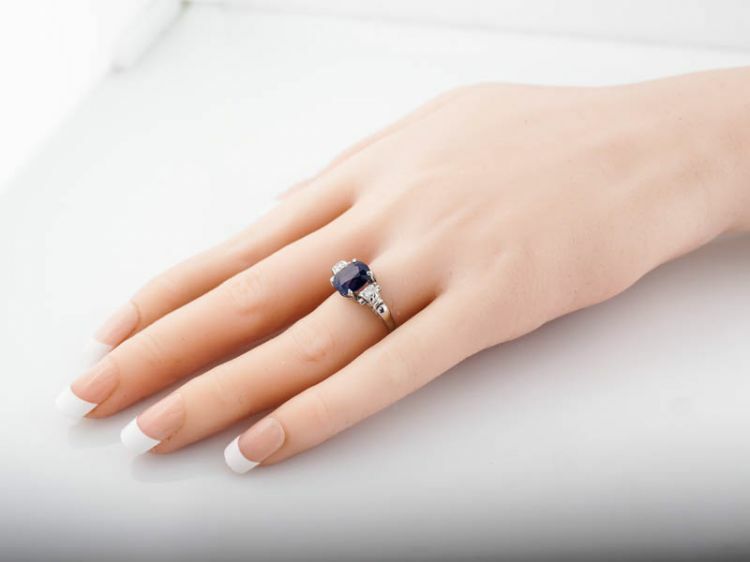 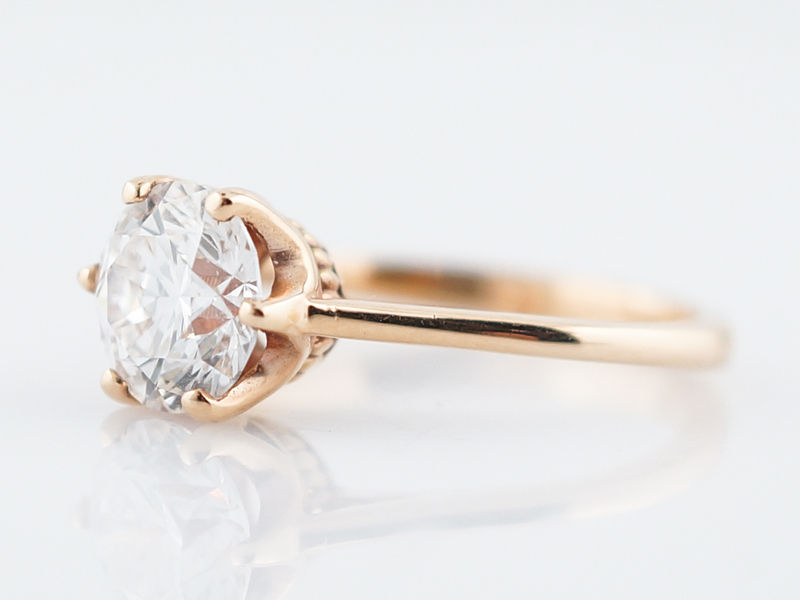 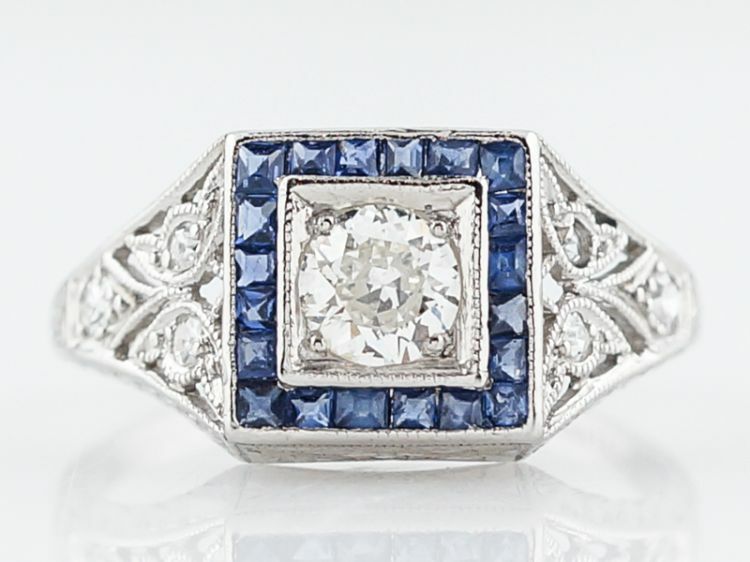 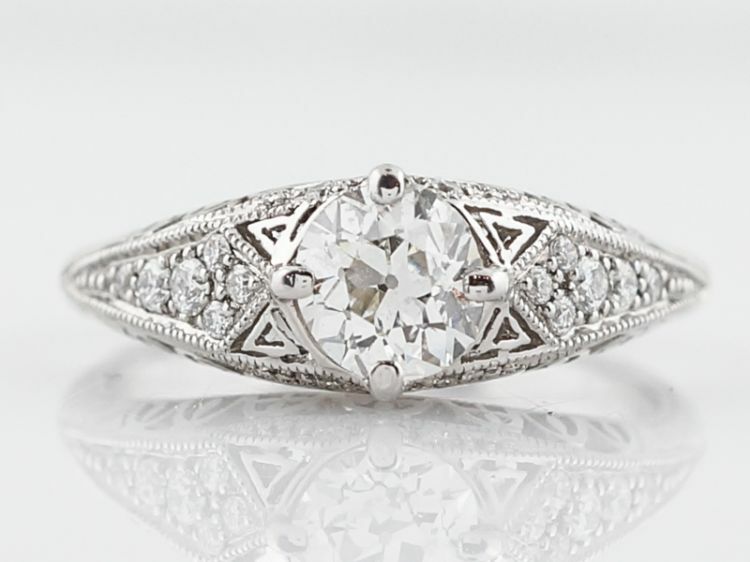 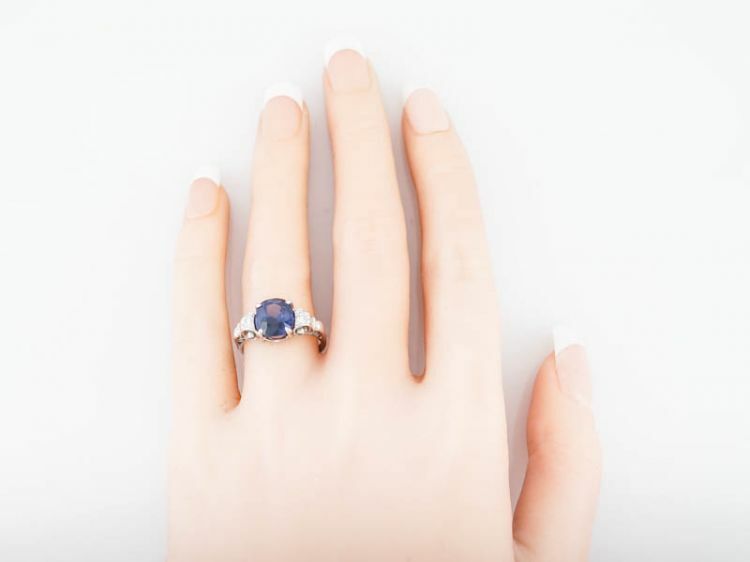 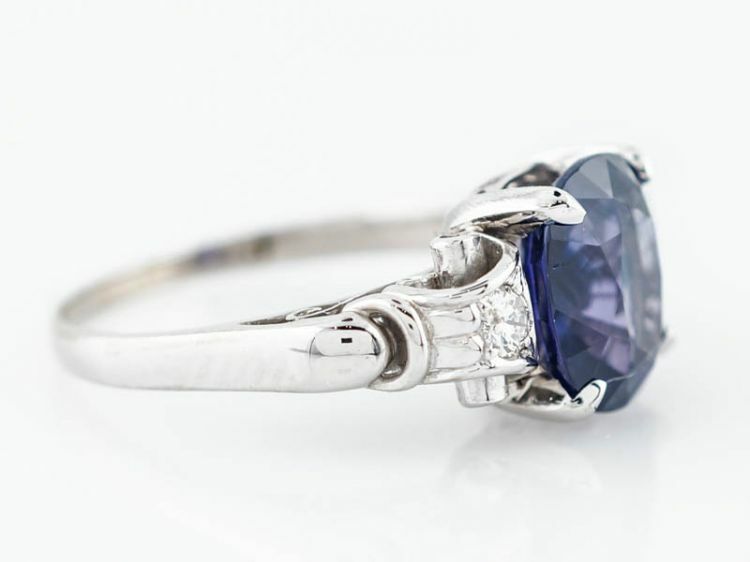 This unique Vintage engagement ring has a 3.09 carat oval sapphire as its center stone. 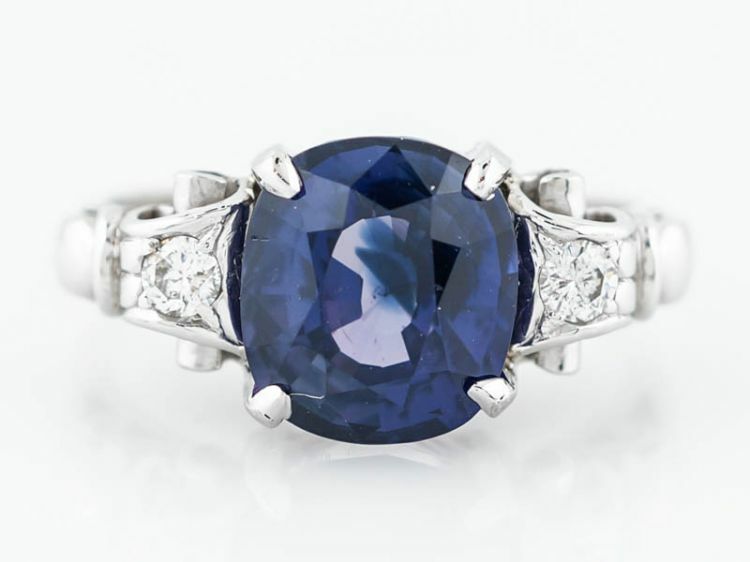 The sapphire has not been heat treated and is an exceptionally rare variety of sapphire which exhibits the unique ability to change color when viewed under different light sources. 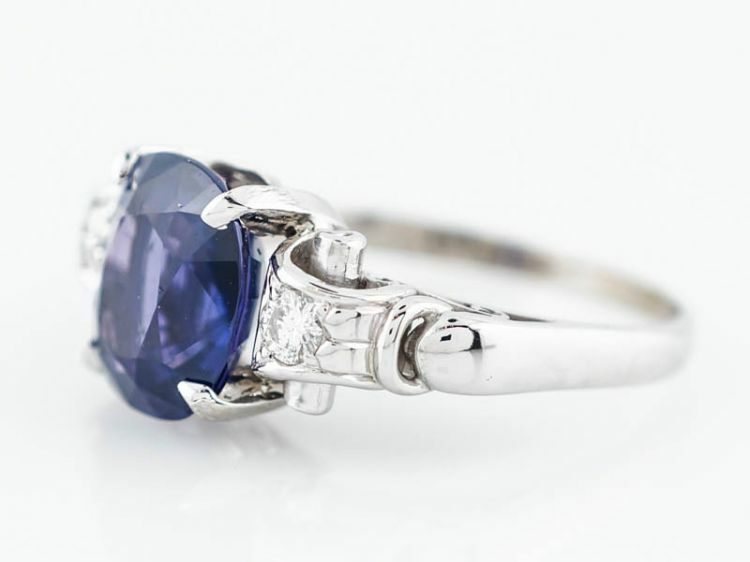 It shifts from blue under natural daylight to a violet-purple under incandescent light. 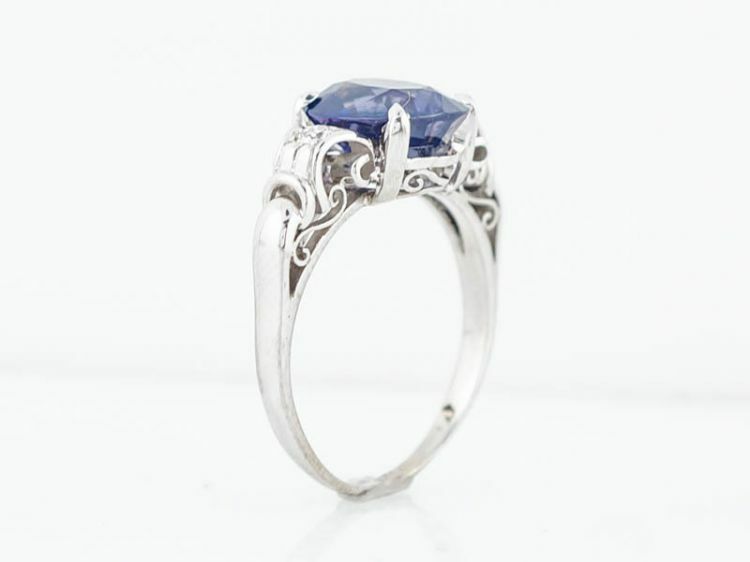 This ring has a lovely scroll pattern in the metal on the shoulders as well as the gallery. 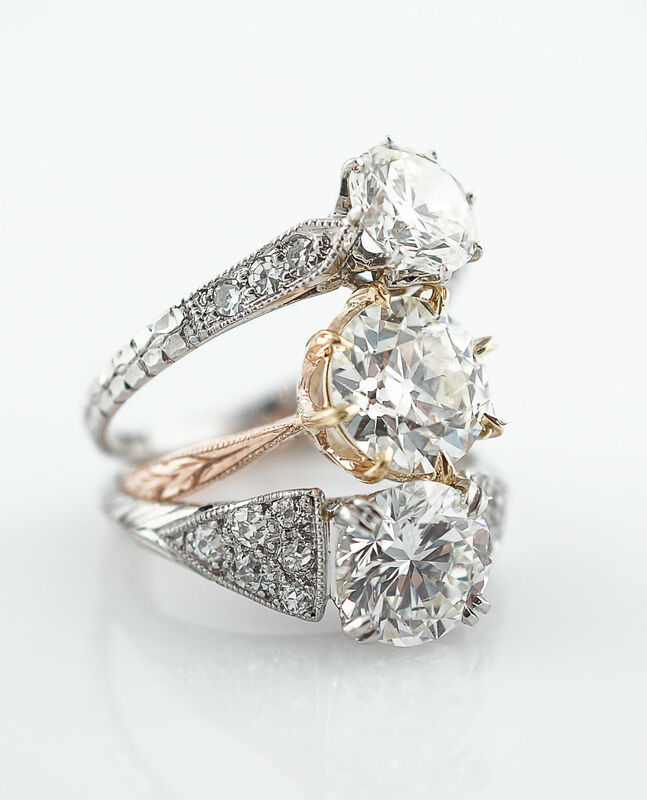 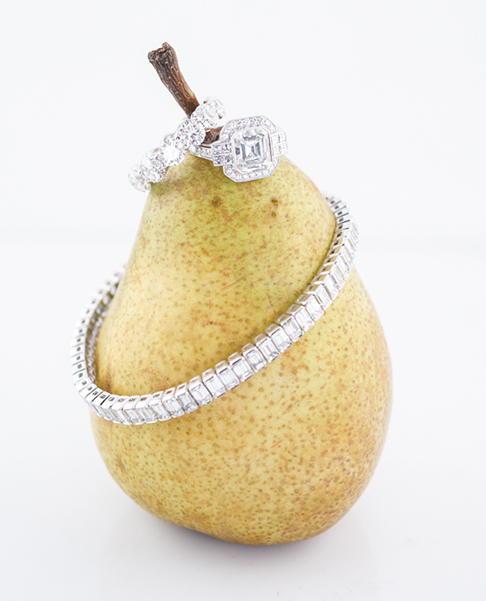 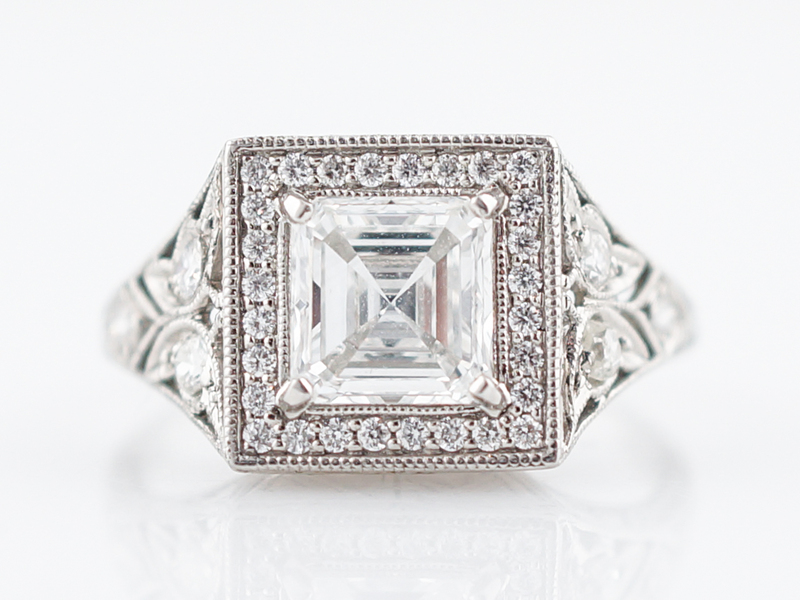 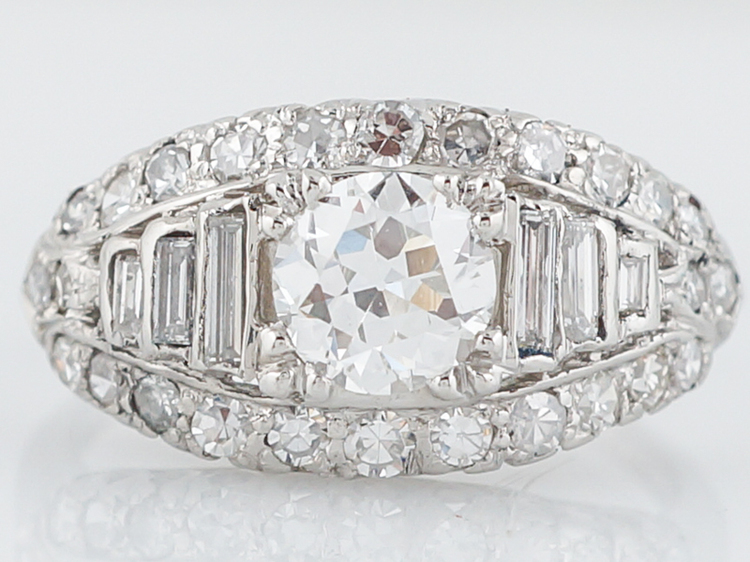 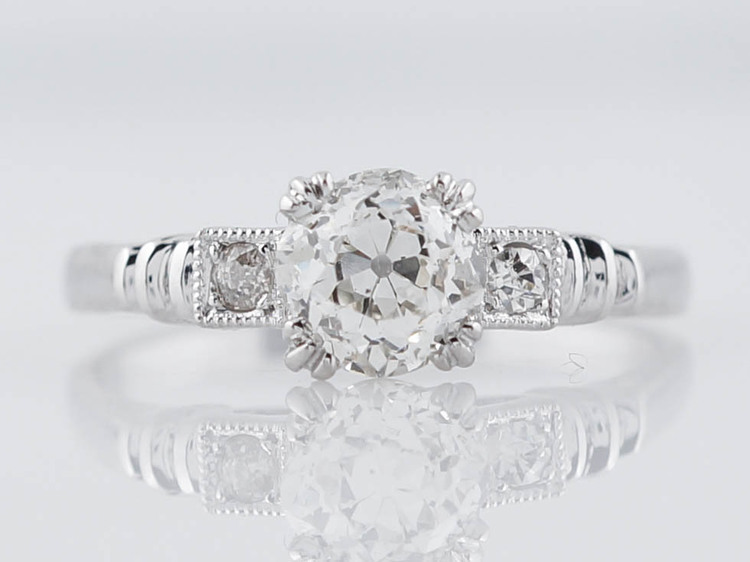 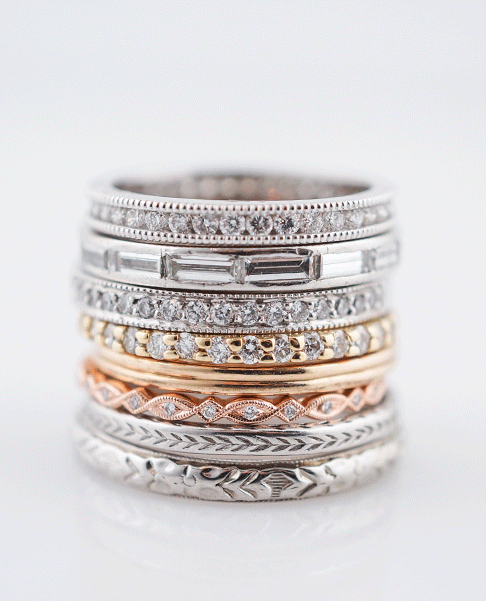 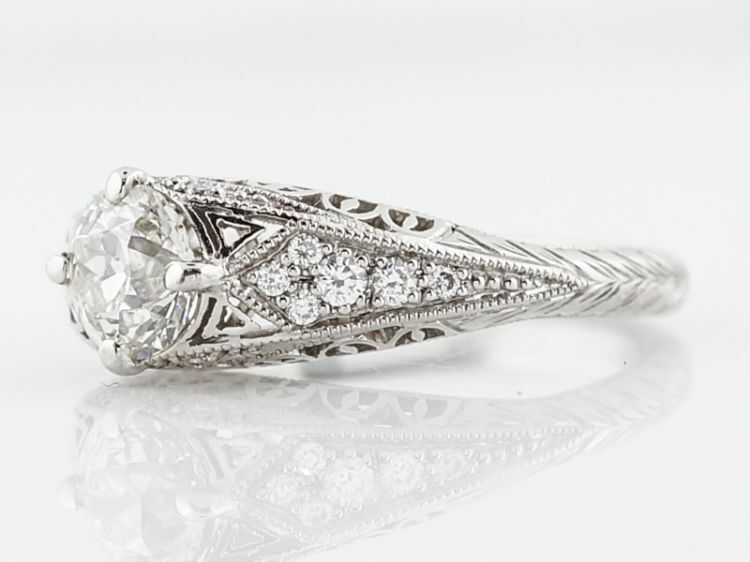 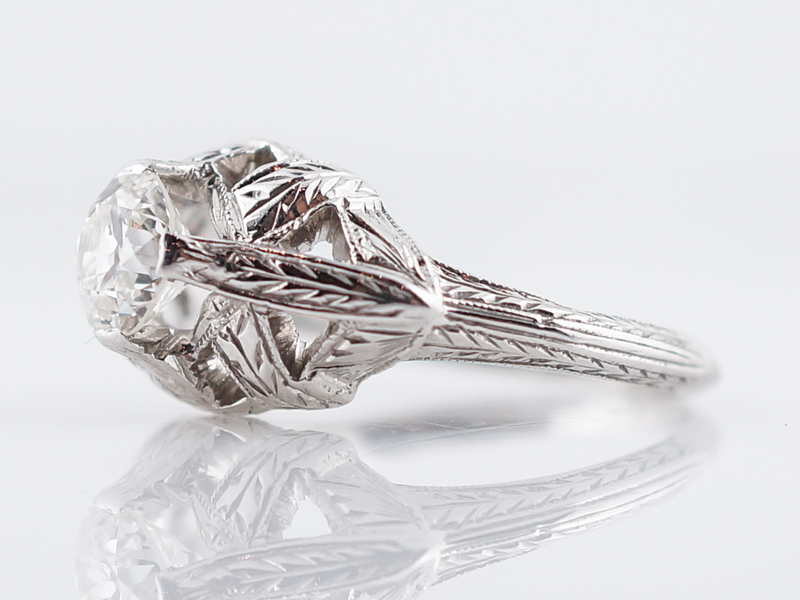 It is set in 14k white gold and has two accent diamonds totaling .14 carat.